Draft: 2012, San Francisco Giants, 18th rd. Matt spent the offseason working out in Arizona…he focused on adding strength to sustain his body all season long…he felt like that was missing in the second half last year...Matt really enjoyed playing on last year's team and is excited about the future…"I've been on a World Series team that didn't win 90 games"...He visited the Dominican Republic soon after the season ended…it was his first time leaving the country to go somewhere other than Canada...Matt adopted a dog from the local St. Petersburg shelter Pet Pal in 2017-a black mouth cur named Dacota...This will be Matt's third season as the Rays representative for the Taylor Hooton Foundation's Advisory Board…last season, Matt met with groups at Tropicana Field to spread the message of living without drugs...He keeps his copy of The Mental Keys to Hitting, by sports psychologist Harvey Dorfman, on his nightstand and has referred to it constantly over the years…Dorfman, who served as an instructor/counselor for the inaugural 1998 Devil Rays, passed away in 2011...Despite throwing and hitting right-handed, Matt is a natural lefty…he writes, shaves and brushes his teeth left-handed...Nicknamed "Duffman" at Lakewood (Calif.) High School-like "The Simpsons" mascot for Duff Beer...Matt began taking baseball seriously as a 13-year-old, when he would field 200 grounders a day from his father, Tom, a contractor and amateur photographer…his mother, Cathy, is a travel agent…his younger sister, Erin, graduated from UCLA. Played in 132 games and made 126 starts (1213B, 5-DH) after missing the entire 2017 season recovering from Achilles surgery…his 132 games were his most since 2015 (149, with SF)...Hit .294, 12th in the AL and pct. points behind Evan Longoria in 2010 for the best in club history for a third baseman…has hit at least .290 in each of the two seasons he has qualified for the batting title (.295 in 2015)…was batting .300 as late as the end of play on Sep 20 at TOR, but went 1-for-13 in his last 5 games of the season...Recorded a career-high .361 OBP and a careerhigh-tying 12 SB...Only 27 of his 148 hits (18.2 pct.) went for extra bases, lowest rate in the majors ahead of SEA Dee Gordon (19.5)…it was the 3rd-lowest rate in franchise history behind Carl Crawford (18.1) in 2003 and Miguel Cairo (16.8) in 1999...According to FanGraphs, 25.3 pct. of his balls in play were line drives, 6th-highest in the AL...Was the Rays Opening Day third baseman, his third Opening Day roster and second start…his season debut marked his first game in the majors since Sep 5, 2016 vs. BAL…drove in the Rays first run of the season on an 8th-inning double off Joe Kelly that sparked a 6-run rally to defeat the Red Sox, 6-4...On April 5 at BOS, gave the Rays a 2-0 lead with a 2-run, 8th-inning home run, his first since Aug 28, 2016 at HOU…it was the latest into a game he ever hit a go-ahead homer…it was the ninth time in franchise history the Rays hit a go-ahead homer in the 8th inning or later at Fenway Park, first since Evan Longoria on Aug 30, 2016…it was the sixth time the Rays ever homered that late in a game to break a scoreless tie and the second time at Fenway Park, following Kevin Kiermaier on April 19, 2016 (10th inning)...Was on the 10-day DL, April 17-26, with a right hamstring strain…played in a rehab game with Class-A Charlotte prior to his return...On April 28 at BOS, recorded a career-high-tying 4 hits…was the eighth different Ray with at least 4 hits in a game at Fenway Park...On June 1 at SEA, delivered a game-tying single in the 9th inning off Mariners closer Edwin Díaz…was the second time in his career he recorded a game-tying hit in the 9th inning or later…the Rays went on to win, 4-3...On June 13 vs. TOR, hit a 9th-inning, walk-off single off Ryan Tepera for a 1-0 win…was the third walk-off hit of his career, first since May 7, 2016 vs. COL (with SF)...On June 14 vs. NYY, hit the first leadoff homer of his career…was the fifth time the very first pitch of a game at current Yankee Stadium was hit for a home run, first since TOR José Reyes on June 17, 2014...On June 16 at NYY, homered off Chasen Shreve, his first off a lefty since June 18, 2016 at TB (with SF, off Matt Moore)-six weeks before the two were traded for each other at the Aug 1 trade deadline...On July 1 vs. HOU, recorded a go-ahead, 2-run single in the 7th inning, turning a 1-0 deficit into a 2-1 lead…helped the Rays finish a 8-1 homestand against three postseason teams from the season prior (Yankees, Nationals, Astros)...Finished the season on a homerless drought of 284 AB, the longest active drought in the majors (excluding pitchers)…hit 4 HR, but none in his final 77 games (71 starts). Missed the entire season recovering from Achilles surgery…was pulled from his midMay rehab assignment with Class-A Charlotte after 3 games due to renewed soreness in his left Achilles…on June 21, had a small calcium deposit removed from his left heel by Dr. Bob Anderson…appeared in instructional league games at the end of September. Acquired from the Giants at the Aug 1 non-waiver trading deadline as part of a trade for LH Matt Moore…took over as the Rays starting shortstop after the deal…did not make an error in 18 games spanning 55 total chances and 153 innings at the position. On Sep 9, underwent season-ending surgery on his left heel in Charlotte, N.C. …Dr. Bob Anderson removed the bursa from the heel and debrided (cleaned) the bone abnormality …he expects to be ready in time for Opening Day. At the time of the trade, was on the DL with a left Achilles strain, which he sustained at Tropicana Field on June 19 in the Giants interleague visit…the injury snapped his streak of 188 consecutive games, at the time the longest active streak in the majors…appeared in 6 rehab games between Triple-A Durham and Class-A Charlotte. After the trade, hit .276/.300/.355 (21-for-76) with 3 2B, 1 HR and 7 RBI for the Rays...his home run came on Aug 28 at HOU off RH Michael Feliz. Made his Rays debut on Aug 12 at NYY…before the trade to the Rays, had appeared in 10 career games (6 starts) at shortstop…rose through the Giants system as a shortstop, making 230 of his 236 starts there in the minors. The Rays went 10-8 in games he started at shortstop, and 58-86 with anyone else…the Giants went 42-24 in games he started (all at 3B)-including winning his last 8 starts in a row-and 45-51 with anyone else. On Opening Day at MIL, homered in his third at-bat and tallied 4 RBI in the Giants 12-3 win…teammate Denard Span added 5 RBI in the game…prior to Duffy and Span, the last Giant with 4 RBI on Opening Day was Barry Bonds in 2002 at LAD (5). His last homer for the Giants was June 18 at Tropicana Field off the pitcher he would be traded for six weeks later: LH Matt Moore. Between the Giants and Rays, hit .356 (62-for-174) in 47 home games and .151 (24-for-159) in 44 road games. Hit .197 (14-for-71) with RISP, down from .366 (52-for-142) in 2015. Established himself as one of the best all-around third basemen in the NL and one of the top rookies in the Majors...finished second in the NL Rookie of the Year race, falling to Chicago's Kris Byrant...received 70 points (22 second place votes and four third place votes) from the BWAA while Bryant was the unanimous winner with 150 points....Hit .295 with 77 runs, 28 doubles, 12 home runs, 77 RBI and 12 stolen bases in 149 games in his first full big league season... was anchored in the Giants' third slot in the lineup for most of the year....Duffy and RHP Chris Heston became the first set of teammates to lead MLB rookies in wins (12) and hits (169) since Chicago's (AL) Gary Peters (19 wins) and Pete Ward (177 hits) in 1963....The only Giants rookies since 1958 to drive in 70-or-more RBI in a season are: Orlando Cepeda, when he won the Rookie of the Year award in 1958 (96), Jim Ray Hart in 1964 (81), Chili Davis in 1982 (76) and Duffy in 2015 (77)....Was the third Giants rookie with at least 70 runs, 70 RBI and 10 stolen bases (also: Orlando Cepeda (1958), Chili Davis (1982)....His 46 extra base hits were the most by a Giants rookie since Chili Davis had 52 in 1982....Ranked second in the NL with a .366 batting average with runners in scoring position (COL's Nolan Arenado, .373)....Also placed eighth among NL leaders with a .310 batting average against right-handed pitchers....Grounded into 22 double-plays, the fourth-most of any NL player... Started 138 games, making 129 starts at third base, seven at second, one at short and one at first....His 149 games played were the eighth-most by a Giants rookie all-time and the most since 1986 (Robby Thompson, 149)....Ended the season having started 118 consecutive games, the third-longest such streak among active players behind Baltimore's Manny Machado (162) and Los Angeles' (AL) Kole Calhoun (153)....Also started the Giants' last 79 games at third base, the longest start streak on the club....Had a 5.5 WAR, the second-highest among NL rookies behind Chicago's (NL) Kris Bryant (5.7)....Had 91 hits following the All-Star break, the third-most in the NL behind CIN's Brandon Phillips (92) and ARI's A.J. Pollock (92)....Was invited to his first spring training, where he hit .361 and earned the Barney Nugent Award, given to the player in his first Major League camp whose performance best exemplifies the spirit of the club....Made the team out of spring training as a utility infielder and took over the starting role at third base from Casey McGehee in mid-May after McGehee had been designated for assignment...had played just three games at third in three seasons in the minor leagues and grew into the position while demonstrating remarkable offensive consistency, batting over .300 in May, June, July and August....Hit his first Major League home run off Rockies' LHP Boone Logan on April 15 at AT&T Park....Recorded his first career game-ending hit May 10 (Mother's Day) off Marlins' RHP Steve Cishek...singled home Gregor Blanco in the 9th inning, giving the Giants a 3-2 win....Drove in a career-best five runs May 12 at Houston...became the first Giants' rookie to knock in five runs since Buster Posey in 2010...also became the sixth Giant the SF-era to drive in five runs from the number eight spot in the batting order, joining Edgar Renteria (2009), Yorvit Torrealba (2004), Tsuyoshi Shinjo (2002), Robby Thompson (1987) and Bob Heise (1970)...Came short of hitting for the cycle on three different occasions: June 27 vs. COL, June 28 vs. COL and Aug. 14 vs. WAS....Became the first Giants rookie to win the Willie Mac award (since 1980), which is given to the Giants player who best exemplifies the inspiration, character and leadership that Willie Mac demonstrated during his playing days in San Francisco. Made jump from double-A to big leagues in just his third professional season after winning the Eastern League batting title, hitting .332 (122-for-367) with 53 runs scored, 24 doubles, three home runs and 62 RBI in 97 games for double-A Richmond...Had his contract purchased from double-A Richmond on Aug. 1 and made his Major League debut that day at New York-NL...His ML debut came Aug. 1, however he appeared in a Giants-Rockies suspended game from May 22 that resumed 102 days later on Sept. 2 and according to the Elias Sports Bureau, the entire game goes in the books May 22, so statistically his first official ML debut date is May 22...Batted .133 (4-for-30) with one double and five RBI in 23 games with SF...made 10 starts (five at 2nd base and five at shortstop)...The knobs of his bats were decorated by cartoonish "Duffman" decals as his nickname is "Duffman." In 2013, he played for the Augusta GreenJackets of the Class A South Atlantic League and the San Jose Giants of the Class A-Advanced California League. In 2012, Duffy began his professional baseball career playing for the Salem-Keizer Volcanoes of the Class A-Short Season Northwest League. 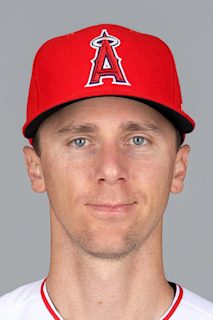 March 27, 2019 Tampa Bay Rays placed 3B Matt Duffy on the 10-day injured list retroactive to March 25, 2019. April 27, 2018 Tampa Bay Rays activated 3B Matt Duffy from the 10-day injured list. April 26, 2018 Tampa Bay Rays sent 3B Matt Duffy on a rehab assignment to Charlotte Stone Crabs. April 17, 2018 Tampa Bay Rays placed 3B Matt Duffy on the 10-day disabled list. Right hamstring strain. November 2, 2017 Tampa Bay Rays activated 3B Matt Duffy from the 60-day disabled list. June 9, 2017 Tampa Bay Rays transferred 3B Matt Duffy from the 10-day disabled list to the 60-day disabled list. Recovering from Achilles surgery. May 9, 2017 Tampa Bay Rays sent 3B Matt Duffy on a rehab assignment to Charlotte Stone Crabs. April 1, 2017 Tampa Bay Rays placed 3B Matt Duffy on the 10-day disabled list. Recovering from Achilles surgery. November 7, 2016 Tampa Bay Rays activated 3B Matt Duffy from the 60-day disabled list. September 8, 2016 Tampa Bay Rays placed SS Matt Duffy on the 60-day disabled list. Left Achilles injury. August 11, 2016 Tampa Bay Rays activated SS Matt Duffy from the 15-day disabled list. August 7, 2016 Tampa Bay Rays sent 3B Matt Duffy on a rehab assignment to Durham Bulls. August 4, 2016 sent 3B Matt Duffy on a rehab assignment to Charlotte Stone Crabs. July 30, 2016 San Francisco Giants sent 3B Matt Duffy on a rehab assignment to Sacramento River Cats. August 8, 2014 San Francisco Giants recalled 3B Matt Duffy from Richmond Flying Squirrels. August 8, 2014 San Francisco Giants activated SS Matt Duffy. August 7, 2014 San Francisco Giants optioned SS Matt Duffy to Richmond Flying Squirrels. August 1, 2014 San Francisco Giants selected the contract of Matt Duffy from Richmond Flying Squirrels. April 2, 2014 SS Matt Duffy assigned to Richmond Flying Squirrels from San Jose Giants. March 8, 2014 SS Matt Duffy roster status changed by San Francisco Giants. August 25, 2013 San Jose Giants activated SS Matt Duffy from the 7-day disabled list. August 15, 2013 San Jose Giants placed SS Matt Duffy on the 7-day disabled list. July 22, 2013 SS Matt Duffy assigned to San Jose Giants from Augusta GreenJackets. June 20, 2013 Matt Duffy roster status changed by Augusta GreenJackets. May 30, 2013 Augusta GreenJackets placed SS Matt Duffy on the 7-day disabled list. April 2, 2013 SS Matt Duffy assigned to Augusta GreenJackets from Salem-Keizer Volcanoes. September 10, 2012 Matt Duffy roster status changed by Salem-Keizer Volcanoes. August 9, 2012 Salem-Keizer Volcanoes placed SS Matt Duffy on the 7-day disabled list. June 14, 2012 SS Matt Duffy assigned to Salem-Keizer Volcanoes from San Francisco Giants. June 12, 2012 San Francisco Giants signed SS Matt Duffy.